Those visiting Windsor in recent days will have noticed changes to works on King Street. As part of a large project which will soon include Windsor Street, works on King Street are progressing well. King Street, between Antrim and Dublin Streets, is now open to vehicles, with stormwater connections completed. While the road is expected to remain open in this area, the footpath on the northern side of King Street will soon be closed while the kerb and channel is renewed. King Street, between Antrim and Windsor Street, is currently closed to traffic. 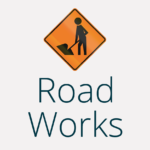 This closure is likely to be in place for some time, until work to replace stormwater and foul sewer networks begins in Windsor Street, starting April 15. The Invercargill City Council is planning significant drainage works in Windsor Street, with work expected to begin in February. The work is broken into three main stages, and is expected to finish in August. Stage one will start on King Street in February. This will involve some drainage work crossing the road and a footpath renewal on the north side of the road. The second stage will be renewal of the foul sewer and stormwater network (in the same trench) on Windsor Street between Herbert Street and King Street. The third stage of the project will be the renewal of the stormwater network on Catherine Street. The construction site will be limited to the length of two blocks at any one time. Parking on both sides of Windsor Street will be affected while the main works progresses, however we will be working with the contractors to minimise the disruption. 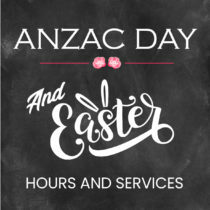 Working hours will be limited to 7am – 7pm Monday to Saturday. The bus stop outside the Windsor Community Green will not be operational while works are directly affecting the site. The two nearest bus stops are on Herbert Street outside the New World and on the north end of Sydney Street. While the stop is closed the bus will divert past Windsor Street, down Queens Drive, right onto King Street and down Sydney Street. Contractors will start work in King Street to renew drainage connections on Thursday, February 21. Part of King Street, between Windsor Street and Cheyne Street, will be closed to vehicles and pedestrians throughout the work. After the drainage connection work is complete, Council’s contractors will then work to improve the footpath and kerb and channel on King Street between Windsor Street and Dublin Street. All-in-all, it’s hoped the works on King Street will be completed by the end of May. With significant proposals for redevelopment in our City Centre, the Invercargill City Council works and services team has put extra thought and consideration towards its renewal and maintenance programming. This means that some projects are being brought forward, while others will happen in concert with other developments in the city centre. It’s a tricky balancing act, but by taking a slightly different approach to these planned works, staff are aiming for the best solutions for the infrastructure while minimising disruption for businesses, road users, and the public. 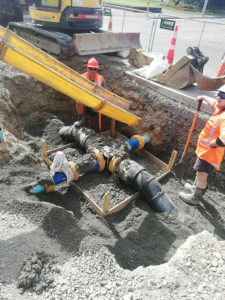 SouthRoads contractors with a new water main connection in Dee Street. Work to replace Invercargill’s ageing water mains network is progressing well along Dee Street. The project began in February, near the intersection of Victoria Avenue and Dee Street. The work affects the southbound lane closest to the centre plot. With the work being undertaken block-by-block, contractors are currently working between Leet and Yarrow Streets, however the lane remains closed from Gala Street. This is to allow NZTA to come in and put down new asphalt across the entire lane. This work is weather dependant, and likely to take several weeks. Please obey all road signs and take care. Work to replace Invercargill’s ageing water mains network is starting in Dee Street on Monday, February 18. The project to replace the 250mm asbestos cement water mains, which were installed in the 1950s, was originally planned for 2023, but was brought forward to coincide with the demolition work happening at the corner of Dee and Don Streets for the new ILT Hotel, as well as the proposed HWCP development. 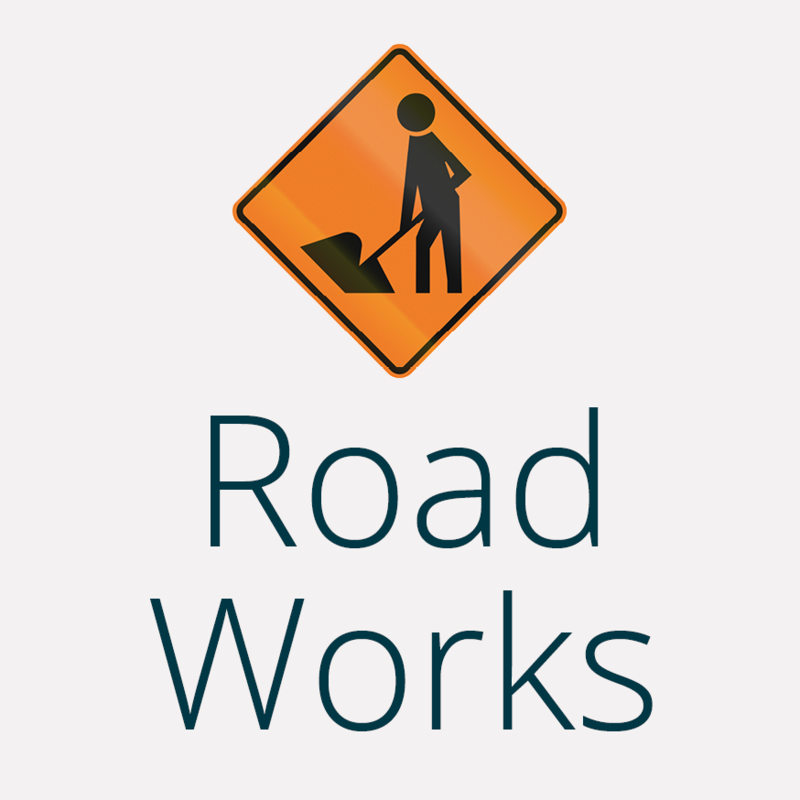 The water mains renewal project includes Dee, Tay, and Clyde Streets. Work will begin opposite McDonald’s in Dee Street, and progress south towards the roundabout. This work is being undertaken block-by-block, and Council is working with NZTA to ensure the road surface of the lane affected will be rehabilitated at the completion of each block. It is expected the Dee Street work will be completed by the end of June, with some ashphalting work to follow when the weather improves. The work involves digging up the south-bound lane closest to the centre plot. One south-bound lane and parking will remain open at all times. Council will provide up-to-date information on each block, road closures, and diversions as available. The water mains which are being replaced are a critical part of Invercargill’s network, so it’s vital we upgrade this essential infrastructure to help protect and future-proof the city’s access to its water supply. For regular updates on the project, visit Council’s website, Facebook page, or the Word on the Street Facebook page. 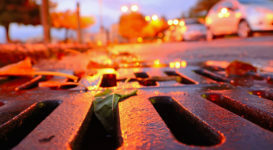 The Drainage Division manages two essential city services, wastewater (including sewage) and stormwater. 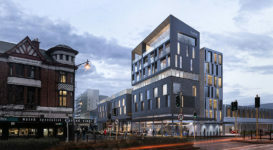 Part of the inner city’s streetscape will begin a transformation early next month, as preparation work starts for the ILT’s hotel development. As part of Council’s commitment to health and safety, there is an Approved Contractor Application form. 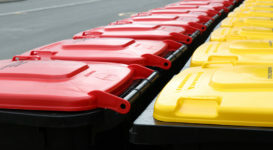 The Council provides several services for the appropriate disposal of solid waste.